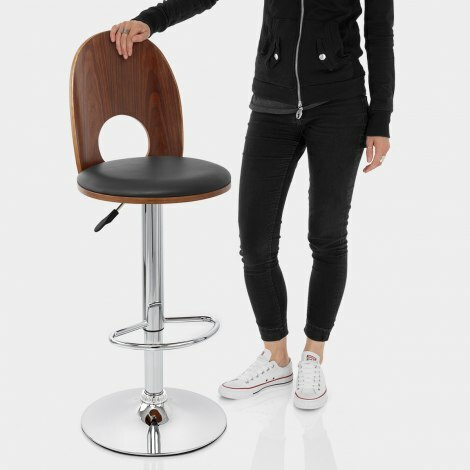 The stylish Bolero Bar Stool Black is a modern design that ticks all the boxes, being both fashionable and functional at your bar area. 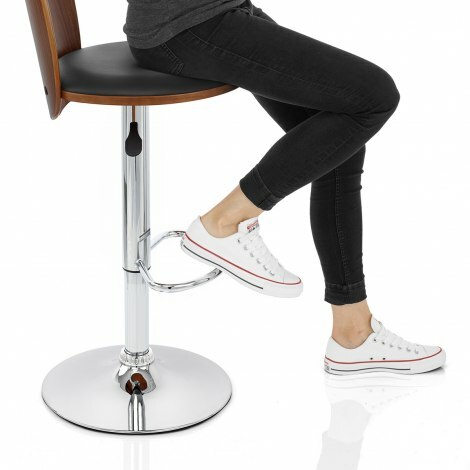 Totally unique and striking in its design, the Bolero Bar Stool is destined to be a showstopper in your interior. The round seat cushion is padded and covered in black faux leather, with a wooden base in a walnut finish. The curved backrest is also made from wood in a walnut finish, and gives excellent support arching across the rear of the seat, as well as added visual impact helped by the circular opening. A chrome plated frame beneath houses a gas lift mechanism, which provides adjustable height and 360 degree swivel, as well as the hand crafted footrest. This hovers above the base, which gives excellent stability and also comes with an integrated floor protector beneath. "Great stools, look stylish and are very comfortable"
Product, price and service all great. Easy to make, and look good. Reasonably comfortable and finish the kitchen nicely. ideal product for our smallish kitchen island. Our Kitchen Island is small and slightly lower than normal. The stools can be made lower than most available stools and the depth perfect for the knee space. Wooden backs match kitchen doors and add a modern contemporary look to the kitchen. Great stools, look stylish and are very comfortable. Really pleased with this purchase. 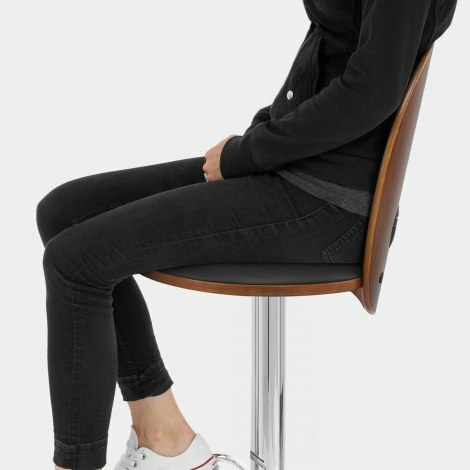 Bought 2 stools and they look very stylish, without being too big. Look great in our kitchen/diner.